Sir Peter Hall ran the Royal Shakespeare Company and the National Theatre. He's pictured above in London in July 1987. 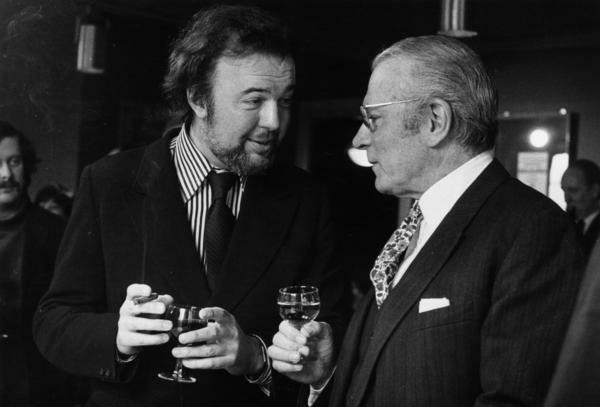 Peter Hall (left) talks with actor, producer and director Laurence Olivier at the National Theatre in London in March 1973. Hall tussled with the government over funding and championed nonprofit British arts institutions. Hall had six children by four wives. He's pictured above with actress and dancer Leslie Caron and their children Christopher and Jennifer at their Montpelier Square home, around 1960. 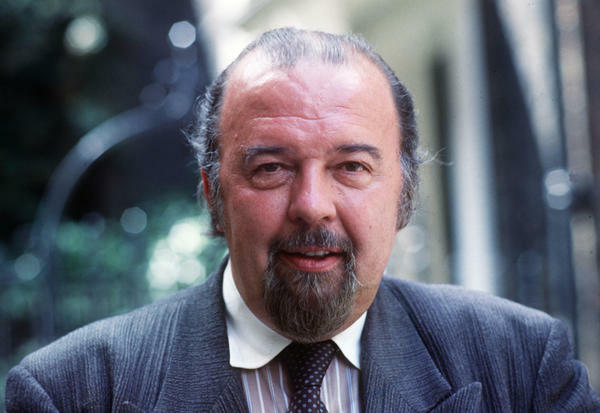 Legendary theater director Sir Peter Hall might have ended up the grand old man of British theater, but he came from modest beginnings — Hall was born in 1930 in Suffolk, England to a father who was a railway clerk, and his family lived in a house without electricity. Hall went on to run two of the most important theater companies in England — the Royal Shakespeare Company and the National Theatre — and directed Waiting for Godot and Amadeus, among dozens of plays, old and new. 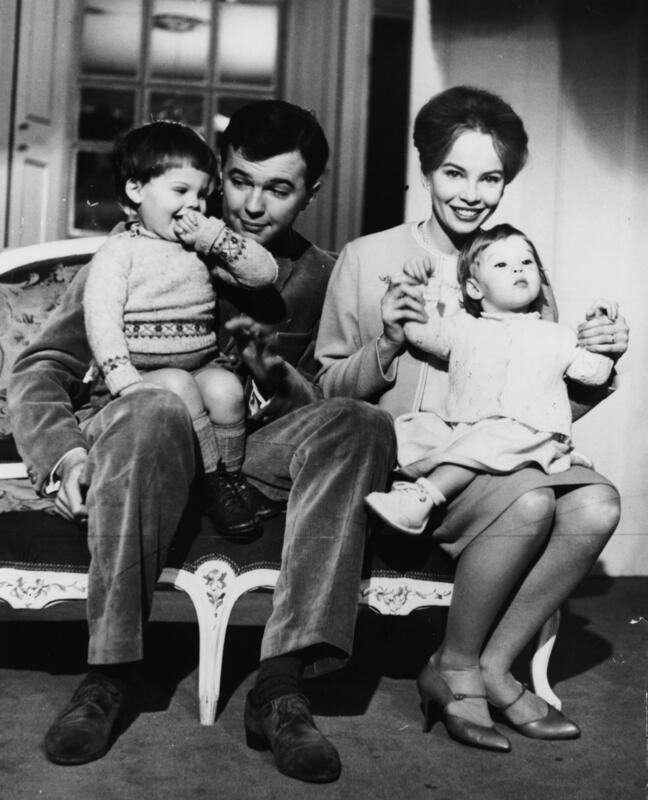 Hall died on Monday surrounded by family, according to the National Theatre. He was 86. As a teenager, Hall was so in love with the theater that during the Blitz, he used his father's railway pass to see productions featuring actors like Laurence Olivier and John Gielgud. "I came to London, by myself, aged 14, with the war still on, to go to the theater," he told Web of Stories. After attending Cambridge University, he began directing plays professionally in London. When Hall was just 25, a producer handed him a script that many other directors had turned down. The play didn't have much of a plot, but it turned out to be one of the most important dramas of the 20th century: Samuel Beckett's Waiting for Godot. "I read it and I don't pretend to say that I said to myself: This is the turning point of mid-20th century drama, 'cause I didn't," Hall admitted. "But I did say: This is highly original, beautifully written, very, very funny. And unlike anything that I've never read or experienced. So it's worth a go." It was a sensation and, overnight, Hall became the hottest director in London. He was invited to work at the Shakespeare Memorial Theatre in Stratford-upon-Avon. Two years later, he was asked to run it. Hall renamed it the Royal Shakespeare Company, or RSC, and theater critic Matt Wolf says the young director's approach gave the old theater a vitality and purpose. "What he was saying was — not only Shakespeare has relevance now, as opposed to just then — but also that the company ethos is very, very important," says Wolf. If Hall truly left a legacy, it was in the building of great nonprofit British arts institutions. The RSC is still one of the most important theaters in the world — and Hall did that by hiring actors and directors for not just a single play, but an entire season; kind of theatrical team-building. Some of those team members were a young Ian McKellen and Judi Dench. He did much the same at his next post; the National Theatre. But it wasn't easy; Hall continually tussled with the government over funding, even as he turned the National into an artistic powerhouse. "I think I did 15 years hard labor at the National," he said. "First six or seven years were tough, because we were getting something established, again with great opposition, apart from the public. The last years were very satisfying ... and very happy." Part of that happiness came from directing and presenting new plays. 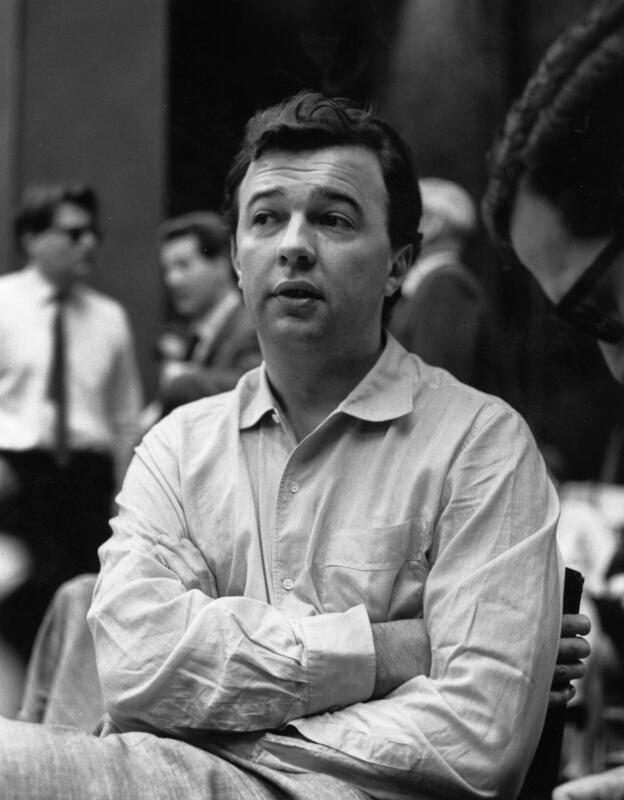 Throughout his career, Hall worked closely with authors such as Harold Pinter and Peter Shaffer, whose play Amadeus, about a rivalry that Mozart had with a composer named Antonio Salieri, started at the National and became an international sensation. Hall continued directing plays and operas around the world, until he retired in 2011. He had six children by four different wives, and all six work in the theater, including daughter Rebecca. Hall directed her in several plays toward the end of his career. "He got a second lease on life from the entry into the profession of his daughter, Rebecca, who, of course, has a whole separate career now as a film star," Wolf says. "And she started her career under his auspices, in productions of Mrs. Warren's Profession [and] As You Like It." Because that's what Peter Hall did: He built careers and institutions that will long outlast him. (SOUNDBITE OF THE POSTAL SERVICE SONG, "WE WILL BECOME SILHOUETTES") Transcript provided by NPR, Copyright NPR.